The delta market sentiment indicator is at 19.6 currently. 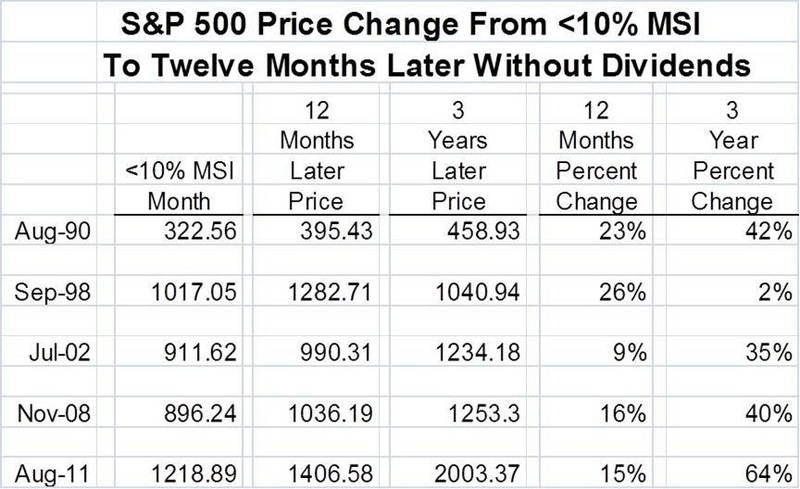 The chart below shows the price change in the S&P 500 from the closing monthly price when the MSI went below 10% to twelve months and three years later. The chart does not include the additional benefit of dividends during the holding periods. Best quarter in 5 YEARS!! s&p 500 stocks above their 50 day SMA stabilized after it declined entire last week.